The following is an interview with Carlos Amaya, son of the renowned Honduran novelist, Ramón Amaya Amador, and a grassroots activist in the Honduran National Front of Popular Resistance (FNRP). He speaks on the past, present, and future of the Honduran resistance. On June 26, the Honduran National Front of Popular Resistance (FNRP) voted to form a new political party to run in the country’s legislative and presidential elections in 2013. According to the resolutions passed at the FNRP’s National Assembly in Tegucigalpa, the new political party, known as the Broad Front of Popular Resistance (FARP), will be a temporary coalition to participate in the elections, and the FNRP will not be dissolved as an independent entity. The decision came two days before the second anniversary of the coup d’état that overthrew former president Manuel Zelaya, installed the coup regime of Roberto Micheletti, and paved the way for the presidency of Porfirio “Pepe” Lobo, a conservative elected in November 2009. The election in which Lobo came to power took place under a virtual police state. It was not recognized by the United Nations, the Organization of American States, the European Union, nor the Carter Center, and was boycotted by well over half of eligible voters. This bitter experience led to a debate within the FNRP on whether the resistance movement ought to participate in elections. The debate intensified in May, as talks were held in Cartagena, Colombia, between Zelaya and Lobo, mediated by a representative of Venezuelan president Hugo Chávez. 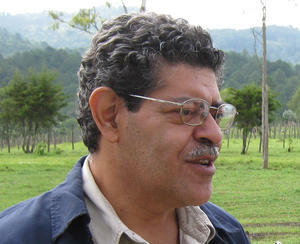 The resulting Cartagena Accord of May 22 made it possible for Zelaya to return to Honduras by calling for the corruption charges to be dropped against him. Zelaya’s return led Honduras to be reinstated in the OAS, which had expelled the country after the coup. Numerous public figures in Honduras and the United States, meanwhile, declared that Zelaya’s return represented a step toward national reconciliation and a return to democracy. Once again, events “at the top” seemed to trump grassroots demands—which include holding those who undertook the coup responsible, and investigating the numerous human rights abuses that followed in its wake. It was in this context that the debate over running candidates took place within the FNRP. The following is an interview with Carlos Amaya, son of the renowned Honduran novelist, Ramón Amaya Amador, and a grassroots activist and member of Socialism or Barbarism, a political tendency within the FNRP. The authors caught up with him on June 18 in the city of Esperanza, during a two-day assembly of the Refoundational Space, a multi-tendency grouping within the FNRP. Carlos Amaya (credit: Todd Gordon)Can you briefly describe the political formation and trajectory of your current? I belong to a political current that is revolutionary Marxist and has been around for more than 20 years. We’ve been involved in a variety of struggles over the years. In the 1990s we were involved in an attempt to unite a number of different movements. After the fall of the Berlin Wall and the collapse of the Soviet Union, the political left almost disappeared in Honduras. The organizations that remained tended to work toward conciliation with the government. This was, above all, the case with the Honduran Workers’ Central. New forms of resistance began to emerge from the interior of the country. For example, an important indigenous movement emerged here in La Esperanza in 1993 and 1994. Little by little, these struggles began to form communitarian spaces. An important development was the creation in 2003 of the National Coordinator of Popular Resistance (CNRP), of which Socialism or Barbarism was a founding current. In practical terms, the CNRP provided an organizational basis which enabled social movements to immediately fight back after the coup of June 28, 2009. The first organizations to stream out onto the streets in the wake of the coup were those involved in the CNRP—the Popular Bloc in Tegucigalpa, the Civic Council of Popular and Indigenous Organizations of Honduras (COPINH), the Coordinator of Popular Organizations of Aguán (COPA), and the Permanent Popular Assembly in Progress (APPP).In the streets, we joined up with those from the Liberal Party who opposed the coup, the Cuarta Urna, and unorganized social sectors. Can you describe the different phases of the resistance since the coup and provide an assessment of where the resistance is now? The case of the Honduran resistance is unique in the Latin American context. Compared to other countries where coups occurred in the past, the resistance here has lasted for a much longer period. Above all, it was massive from the start. The mobilizations in the first two months after the coup spanned the entire country, from the capital of Tegucigalpa to a range of different parts of the interior. Barricades were set up in the streets between Tegucigalpa and the city of San Pedro Sula. The size and intensity of this struggle was impressive, and it was the result of the union of various social sectors, with no single actor positioned above the others. In the other processes that have taken place in Central America, the Sandinista Front of National Liberation (FSLN) in Nicaragua or the Farabundo Martí National Liberation Front (FMLN) in El Salvador, the leadership of the organization was unquestionable. In Honduras there is no political entity that holds such power over the rest. As a consequence, the Honduran process is much more democratic. There is much more debate. And at the beginning of the struggle against the coup, these attributes gave the resistance tremendous strength. However, the resistance committed a number of errors. Or, better said, we failed to take advantage of the situation early on to defeat the coup. Perhaps the most important moment was July 5, 2009, just a few days after the coup, when Zelaya attempted to return to the country, but his plane couldn’t land. There was a massive mobilization in the capital, with people waiting for a plane that would never land. At this time, the Micheletti regime hadn’t yet consolidated itself, and no country in the world had recognized the coup government. A stronger mobilization at this moment would have defeated the coup. There were internal forces in the Micheletti regime that, at this point, were still not fully committed to consolidating the coup. Another important moment was when Zelaya returned and took refuge at the Brazilian Embassy, on September 21, 2009. A series of marches were organized, and they were repressed. But the spontaneous reaction of the popular sectors in Tegucigalpa, particularly in the poor barrios, was insurrection. They began to take over entire barrios. This was cut short by the FNRP leadership, which called instead for peaceful marches. The semi-insurrection that had begun spontaneously burned out quickly. Another huge problem was the role of the Honduran Workers’ Central. Sections of the labor movement, such as the teachers and other unions like the National Agrarian Institute (INA), joined the resistance immediately after the coup. However, even though the FNRP called for a general strike, the workers’ central failed to organize one. So there were two months when there was very militant struggle against the coup, but it was cut short. The character of the resistance changed in late 2009 after the San José–Tegucigalpa accord that was organized by then Costa Rican president Óscar Arias, who was acting under the direction of the United States. This agreement created various expectations about what might be achieved through negotiation with the dictatorship. But the only thing it could ever do would be to open the path toward the fraudulent elections in November 2009. All of these initial processes of resistance were really brought to a close, however, with the Cartagena Accord of May 22, which—under the leadership of Zelaya and with the support of the entire coordinating leadership of the FNRP—recognized the legitimacy of the Pepe Lobo regime. All of the regime’s institutions were legitimized, and the accord allowed Honduras to rejoin the Organization of American States (OAS). The Cartagena Accord opened the door to resolve what the Obama had seen as the critical “problem” of the resistance since the coup took place—how to channel the popular mobilization into an electoral path, how to defeat the resistance in the streets, and how to stamp out the construction of popular power and direct democracy outside of parliamentary institutions. In other words, the question was how to return to the political system that has existed in Honduras for the last 30 years. The forthcoming National Assembly of the resistance, on June 26, has everything to do with this question, in terms of determining which direction the resistance will take on the electoral option. What are the principal currents within the resistance, and what are the principal debates over strategy between them? We can speak of three large political expressions within the resistance, each of which contain within them several different organizations and sectors. In the first instance there is the official current of the resistance that is headed by Zelaya and includes all the parts of the Liberal Party that opposed the coup—the so-called Liberals in Resistance—as well as sectors from the Democratic Union party. This current sees elections as the only exit to the current predicament. So, as soon as the regime commits itself to recognizing a party of the resistance, this current believes that a path will have been opened toward legally contesting political power through elections. We believe that this is a very simplistic vision, because it doesn’t explain why the coup d’état even occurred in the first place. If it was so easy for the resistance to win through an electoral process, why have we suffered through two years of coup regimes, and legal and illegal systematic repression? Manuel Zelaya and the Liberals in Resistance are the most representative symbols of the official resistance. Secondly, we have those sectors that are active within Refoundational Space. Those of us in this space believe that the coup created conditions for fighting for transformative changes all the way to the root of the system in this country, to refound Honduras, in other words. Refoundational Space is made up of social movements, workers, peasants, indigenous peoples, women, artists in resistance, the LGTB community, a large number of youth, and organizations of the Left—not all of them, however, because the political representation of the Honduran Left remains fractured. In this space we understand clearly that only through popular struggle, popular organization, and popular democracy, will we be able to really refound this country. It’s a struggle that looks more toward the medium-term. We don’t think these changes are going to come through elections. The third sector has significant strength, also comes from the popular sectors, and includes sections of the political left. This current has the idea that we’re going to continue moving forward even if we follow the path of those calling for elections. This sector provides further strength to the official, Liberal current that is behind the electoral proposal. If the Liberals were to propose elections on their own, they wouldn’t be capable of winning over the resistance. The Honduran people feel that the Liberal Party betrayed them. Many former Liberals who thought that their party was the party that had struggled for human rights felt betrayed when the Liberals [helped to] orchestrate the coup d’état of June 2009. Consequently, the Liberal Party leaders within the resistance [apart from Zelaya] do not enjoy a huge amount of popular support. Thus, this third current within the resistance, which comes from the popular sectors and includes some organized left currents, plays the role of legitimizing the Liberals, who are seeking to come back to power as in the past. Which of these three blocs has the most power? None enjoys hegemony within the resistance. This is one of the particularities of our country. If one of them had power over the other two, we would have seen the political line of this bloc lead the resistance and move it in that direction. There is major distrust in how politics has been conducted in Honduras. There is serious pressure from rank-and-file members of the resistance that they be taken into account, that internal agreements be reached, and that democratic debate be prioritized. This dynamic has ensured open confrontation and an open evaluation of the three blocs and their politics. In the national assemblies of the resistance, groups leave certain blocs and join others, different temporary alliances are formed, and so on. There is, therefore, a certain degree of equality between the three. However, since the last national assembly in February, one problem has become increasingly noticeable. Those who see elections as the exclusive way forward have begun to ignore agreements reached in February—particularly the resolution against participating in elections and against transforming the FNRP into a party. Among the advocates for electoral participation is the FNRP leadership, which hasn’t been acting in accordance with the agreements of its own assembly. When Zelaya went to Cartagena to engage in those negotiations, the FNRP leadership said it was going to hold an intermediary assembly to determine if the rank and file agreed with the accord or not. In the end, the accord was signed, and the intermediary assembly was never convened. In this kind of situation, a democracy of the rank and file should determine our strategy. Some among the coordinating leadership are opposed to this. And their tendency to ignore the democratic impulses of the rank and file is strengthening, not because they have convinced people of the validity of ignoring the rank and file, but rather because they have engaged in manipulation through the leadership organizations. Going into the June 26 national assembly, this is precisely the fear that we have—that a frank debate will not be permitted and that delegates will be allowed to attend who have never fought in the struggles of the FNRP. Such attempts to truncate debate are being used to consolidate the Cartagena Accord and to ensure the adoption of the electoral path for 2013. What is the strategy being proposed by Refoundational Space? We believe that it’s necessary to unite the social struggle with the political struggle. If the resistance wants to really move toward a process of refoundation, it must commit itself to defending the popular gains that have been won in the past by the Honduran people, while tying this to the necessity of taking power. But power should be understood as the power of these popular sectors themselves, rather than participation in the electoral process. Through the electoral process we will only become administrators of the order that we are trying to destroy. How do you see the political developments unfolding in Honduras within the wider Central American context, and, indeed, within Latin America as a whole? The process in Honduras has broken a pattern that has persisted in Central America as far back as the defeat of the Nicaraguan revolution in 1990 and the quelling of the guerrilla struggle in El Salvador. Beginning in the 1980s, Central America entered into a period of reconciliation with the slow incorporation of guerrilla movements into electoral processes in Nicaragua, El Salvador, and Guatemala. In the cases of Nicaragua and El Salvador, ultimately, the FSLN and the FMLN, respectively, were able to win elections and form governments. But these governments have not introduced any of the changes that the people demanded from the revolutionary processes that developed in these countries. The resistance in Honduras has broken this pattern, because our people are demanding their rights and searching for their own form of political expression and struggle. Our struggle cannot be reduced to a single political line, personality, or caudillo [strongman]—a lamentable characteristic of some politics elsewhere in the region. In this tradition, the caudillo says we’re going this way, and the people follow. Honduras is differentiating itself by rejecting this tradition. Within the wider context of Latin America—with the electoral gains of Chávez in Venezuela, Correa in Ecuador, Lula in Brazil, the Frente Amplio in Uruguay, and, for some at least, Kirchner in Argentina—the case of Honduras has a series of important particularities that should be highlighted. Honduras is perhaps closest to the Bolivian case, where social movements played an important role in the triumph of Evo Morales. In other cases, there were economic crises out of which caudillos with certain attractive programs were elected. In Honduras, the people themselves are the protagonist in this process. This process has not had a caudillo, a leader. However, a caudillo, in the form of Zelaya, is trying to impose himself and to steer the movement toward an electoral path. Zelaya cannot be compared to Chávez or other South American leaders who played a role in constructing the progressive process in their countries. Zelaya was simply the victim of a coup d’état, who through this process was transformed into a figure with merits that he never had. This is, consequently, a very weak leadership. The popular movement has done the overwhelming bulk of the work in creating this process. We don’t depend on the position that Zelaya decides to adopt. What kind of Honduras are you fighting for? We want the refoundation of Honduras, understood as the construction of a country where there is struggle against capitalism, racism, patriarchy, and, obviously, imperialism—that is to say, we want a society without exploitation or oppression. Within Refoundational Space, some call this type of society “socialist” and imply the necessity of a socialist revolution. Other sectors use other terms. But we have a shared set of premises. We reject any exit to this coup that could consolidate the institutions that we have had until now. We want something different. And in this space, through practice, debate, and struggle, I think we can move forward. Another critical component of this vision is that, in Honduras, social movements have had the preeminent weight in this process of resistance. The old organizations of the left have practically disappeared, and among those who remain, they are fragmented: Some are arguing for the electoral path, while others oppose it and are a part of Refoundational Space. We lack political experience, but we are addressing this in Refoundational Space. Increasingly, through the struggle of the resistance, it will become clearer that we need to change the global system, overthrow capitalism in Honduras, and introduce a socialist perspective that relies on the direct participation of the people. Not simply “socialism for the 21st century,” in which leadership does not come directly from the people, but rather a socialism in which it is the people who make the decisions. Todd Gordon teaches politics at York University, Toronto. He is the author of Imperialist Canada (Arbeiter Ring Publishing, 2010). Jeffery R. Webber teaches politics at Queen Mary, University of London. He is the author of From Rebellion to Reform in Bolivia (Haymarket Books, 2011) and Red October: Left-Indigenous Struggles in Modern Bolivia (Brill Academic Publishers, 2011). The authors thank Karen Spring of Rights Action for her help in organizing interviews.